Here's a HOT deal on this very popular item! 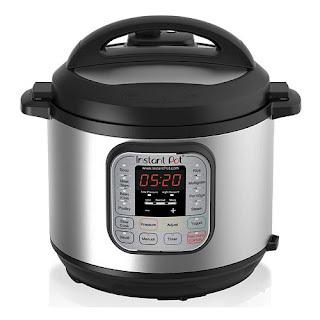 Right now over at Kohl's.com you can score this Instant Pot 7-in-1 6-Quart Programmable Pressure Cooker for only $99.99 (Retail $129.99). Even sweeter, use the promo code HOME10 at checkout to score $10 off home purchase of $50 or more through July 30th making this Instant Pot just $89.99. 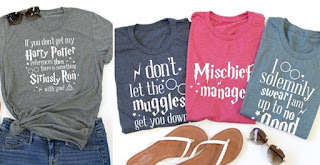 AND through July 23rd, Kohl's cardholders can save 30% off your entire purchase with the promo code BBQ30 at checkout AND score FREE shipping on every order with the code FREE4JULY at checkout. This Instant Pot 7-in-1 6-Quart Programmable Pressure Cooker is 7 appliances in one: pressure cooker, rice cooker, slow cooker, steamer, saute, yogurt maker and warmer. It also offers a programmable timer to delay cooking up to 24-hours for convenience and an automatic keep-warm function! 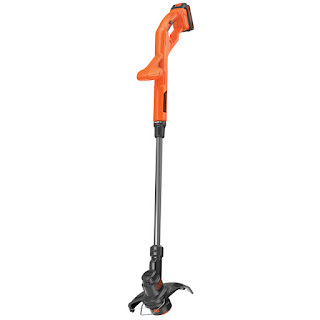 Today only Lowe's is offering this BLACK & DECKER 20-Volt Max 10-in Straight Cordless String Trimmer and Edger (Battery Included) for just $49 (Reg $69)! Shipping is FREE on this deal! Today only Home Depot is offering up to 30% Off Select Upright Vacuums and Carpet Cleaners! Shipping is FREE on this deal. 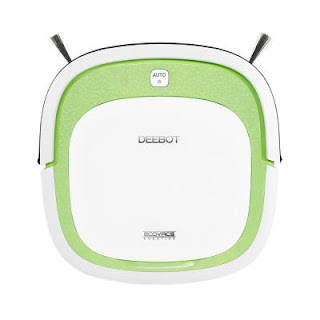 Check out this DEEBOT SLIM Low-Profile Bare-Floor Robotic Vacuum Cleaner only $159.99 (Reg. $199.98)! Hurry over and snag these BOGO- First and Last Day of School Chalkboard Style Prints for just $5.25 (Reg. $20)! 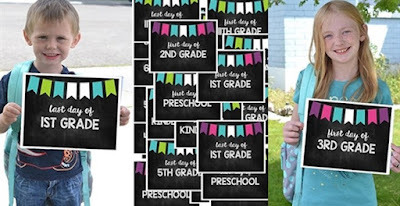 This buy one get one free gives you this colorful chalkboard style print in the format "first day of school" and "last day of school" in your chosen grade so you can take those memorable pictures on the first and last day to compare how your child has grown. Your choice of the green/blue style or the pink/blue style. This chalkboard style print is 8x10 in size but will come printed on an 8.5x11" 110lb white card-stock. There will be a little white border around the 8x10 image so you can frame with a mat or to make trimming easy. $2.75 for the first item and free for each additional item. US only. Seller usually ships within 2 business days. Ships no later than Tue, Aug 1. Another item from elementary kid's school supply list is headphones for technology lab! 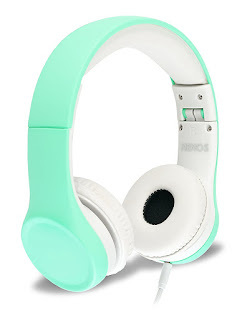 I am loving these Nenos Over Ear Foldable Volume Limited Headphones for Kids for just $17.95 (Reg. $29.99)! Splitters are not required to share audio. Nenos headphones connects another headphone just plug directly into the Nenos to share audio. Perfect size and fit for children These headphones are lightweight and feature soft, comfortable earpads. Recommended for children ages 3-8. This superior pair of headphones is exceptionally easy to carry around. As they are easily foldable, They are fully adjustable, ensuring customized, comfortable fit during prolonged periods of wearing and use. Nenos, Premium headphones, is design and built for you children. No other headphones come close to quality and price. Here is one of the items from my oldest's school supply list! 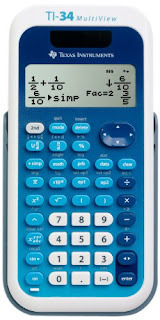 Right now this Texas Instruments TI-34 MultiView Scientific Calculator is just $19.99 on Amazon. Previous Entry - Lets you review previous entries and look for patterns. Menus - Easy to read and navigate pull-down menus similar to those on a graphing calculator. All mode settings are located in one central place, the mode screen. Scientific Notation Output - View scientific notation with the proper superscripted exponents and see the output in scientific notation. Sizing: UNISEX fit. For tighter fit size down. $3.99 for the first item and $1.99 for each additional item. US only. Ships no later than Tue, Aug 8. 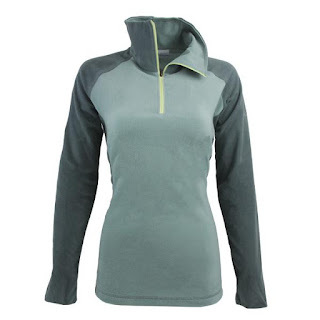 I can wait for fall to wear this Columbia Women's 1/2 Zip Arctic Air Fleece that I snagged for $18 (Reg. $45) with coupon code PZY18. This jacket is available in several colors and sizes XS-XXXL. Shipping is FREE on this deal! A pure, clean fleece pullover that's supremely layerable for cross-season versatility, the Arctic Air 1/2 Zip is outfitted with flattering princess seams and a roomy, high collar to keep out drafts. I am loving this UA Favorite Backpack for only $26.99 (Reg. $44.99)! Several color options available. This bag is cute, comfortable, and ready to take care of business. It's water-resistant, it's got more than enough pockets to always keep you organized, and it's made with tough, durable materials that hold up against daily wear and tear. Dimensions: 11" x 5.3" x 16"
Today is the final day! Get your kids ready for back to school with this BOGO Free Kids School Uniform Sale at Old Navy! Use code BOGO at checkout! Shipping is FREE on orders $50+ (otherwise pay flat rate $7 shipping). Buy One Kids Uniform Item, Get One Kids Uniform Item Free: Offer valid while supplies last from 7/11/17 at 12:01 am ET through 7/23/17 at 11:59 pm ET at Old Navy stores and online at oldnavy.com in the US only (including Puerto Rico). Not valid on international purchases. Offer valid on Kids' Regular Priced Uniform Polos, Khakis, and Shorts merchandise only. Not combinable with Today Only Deal offers. Excludes Adult and Toddler Uniform merchandise. Second item must be of equal or lesser value. Discount taken at checkout. Discount is allocated across items. No adjustments on previous purchases. May not be combined with any other offers or discounts including Gap Inc. employee discount. Head over to Cents of Style to their Last Chance Semi-Annual Clearance Sale! Save 50% Off the lowest marked price on everything in their clearance collection when you use code LASTCHANCE17. Shipping is FREE on this deal! I am loving this Touch of Class Dress for only $22.99 (Reg. $52)! Add a touch of class to your wardrobe this summer with our beautiful woven dress! Available in a colorful floral print and a classic black, you'll look like a million bucks without even trying! $3.99 for the first item and $1.99 for each additional item. US only. Seller usually ships within 24 hours. Ships no later than Mon, Jul 31. RUN over and snag these FILA Men's Moisture Wicking 24 Pairs NO Show Socks for ONLY $17.99 (Retail $34.99). These may last a month in my house. My daughter will love this Mega Bloks American Girl Nicki's Horse Stables Construction Set $21 (Retail $29.99)! Ending today - Yankee Candle is offering Buy 1 Large Jar Candle, Get 1 Free with code LRGE17 at checkout. That means you can get TWO Candles for only $27.99! Browse around for your favorite scents. 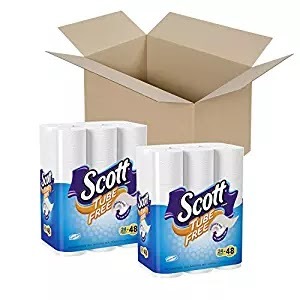 Right now you can get this package of Scott Tube-Free Toilet Paper 48-Double Rolls for just $11.89 shipped when you clip the $2 off coupon and opt to Subscribe and Save – that's just 25¢ per double roll! And since 48 double rolls is equal to 96 regular rolls, you are paying just 12¢ per regular roll! OH MY GOODNESS! These are way too cute! 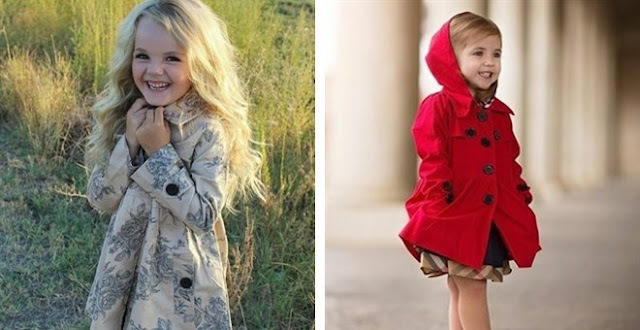 Head over to get one of these Girls Fall Jackets for ONLY $19.99 (Retail $49.99)! Today ONLY - Save Up to 60% Off Summer Luggage at Amazon $41.99 - $279.99)! Browse around for your favorite soft shell, hard shell, spinner and more! Here's a look at the Toys and Games Lightning Deals for Prime Members - If you see something you like make sure to add to your watch list and set your alarms. If you don't have Amazon Prime - deals will start 30 minutes later and may be sold out. Pathos - Tri-Spinner Fidget Hand Spinner Toy Stress Reducer EDC Focus Toy Relieves ADHD Anxiety and Boredom with over 1 min of Spin Time! MudWatt STEM Kit: Clean Energy from Mud!